What are the difficulties with streamlining information sharing in complex transportation chains and how can we create better preconditions for this? The logistics industry faces major efficiency challenges in supply chains: the logistics network is becoming more and more complex and the number of participants is increasing. This has led to gaps in coordination, transparency and reliability, which result in great uncertainty for transportation buyers as well as for customers and carriers. This leads not only to financial consequences for individual operators, but also to reduced competitiveness for the Swedish business sector. In a preliminary study, the Multimodal Information Sharing Project operated by CLOSER at Lindholmen Science Park has investigated the conditions for a digital platform – a translator – that can send and manage information between different IT systems and reconcile the great variety of data formats and standards that are available within the worldwide logistics and transport industries. One of the critical obstacles for efficient data sharing between different operators is that the data, which is currently shared digitally, is managed in a vast array of different data formats and standards. Many operators have invested a lot of time and money in their own IT solutions and would prefer to not build them again in new systems. There are also considerable limits on data sharing – in many cases, data is only shared by contractual parties and is inaccessible to operators further down the supply chain, creating gaps in the information shared. Two specific export flows were analyzed in the project’s preliminary study: Sandvik and SSAB, both at Gävle Hamn. The survey takes a closer look at how the current information structure is built and what obstacles there are to efficient information sharing. To ensure as thorough an analysis as possible, information sharing at every actor involved in the transportation – from production to customer – was analyzed. Digitalization – All data must be digitalized; there cannot be any relevant information that is not accessible digitally. Today, information sharing uses traditional routes like telephony, personal meetings, letters or emails, or specific EDI connections between two operators. Collaboration – Foster trust between operators and break up organizational barriers by seeing the supply chain as a collective problem to solve. Sharing the right data at the right time is pivotal to achieving this goal. The survey shows major opportunities to create a more transparent and efficient stream of information by opening up data and sharing it with several operators to support more efficient transport and logistics operations. Visualization – Access to the right data at the right time creates increased transparency in the supply chain to open up flexible planning and management of transport and logistics operations. This joint sharing of data demands a rigid and open digital platform that, in addition to enabling the sharing of information, can reconcile all the different data formats and communication standards. The conceptual platform from the preliminary study aims to replace today’s “point-to-point” communication with new methods for sharing information to a broader group of recipients. Using unique identities for packages, pallets, containers, etc. and connecting these identities to a searchable address (URI) makes it possible to share information via the internet. To then overcome the difficulties with different data formats, the data is then translated to different formats and standards via a Logistics Data Interchange (LDI). This means that connecting the different information systems will not require any expensive development, and that companies need not give up already-implemented IT infrastructure. This also means that the searchable information will be updated in real time and that the latestinformation will always be current and accessible for all operators. 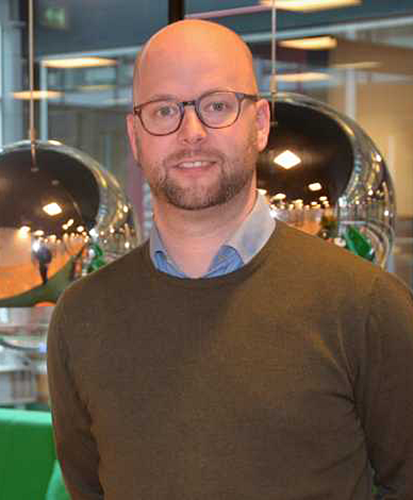 “It’s clear that all operators have a lot to gain from streamlined information sharing in the supply chain, above all by the possibilities for fulfilling contractual obligations more efficiently and with greater precision,” says Kristoffer Skjutare, Project Manager at CLOSER, where the preliminary study is being conducted.